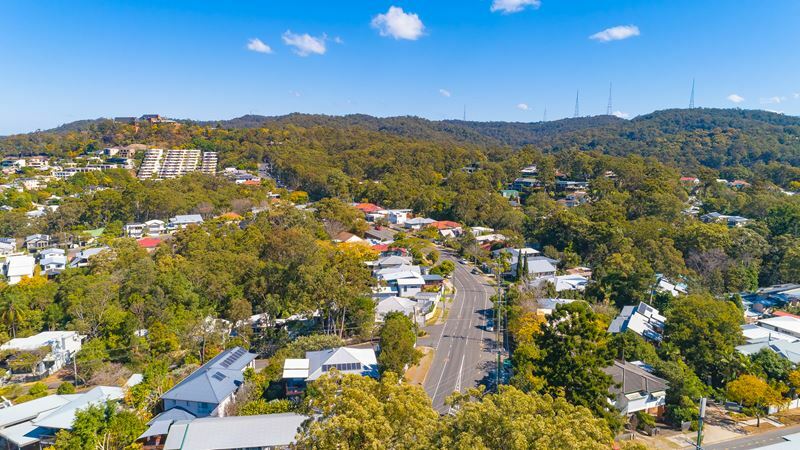 Bardon location, a leafy traditional suburb with a sense of community — just 5km to Brisbane’s CBD. 25 two and three-bedroom apartments across three storeys. Floorplans attractive to owner-occupiers — each apartment has a unique floor plan and many have a great view. Recently completed and ready to move into now! Prices� start at $527,000. 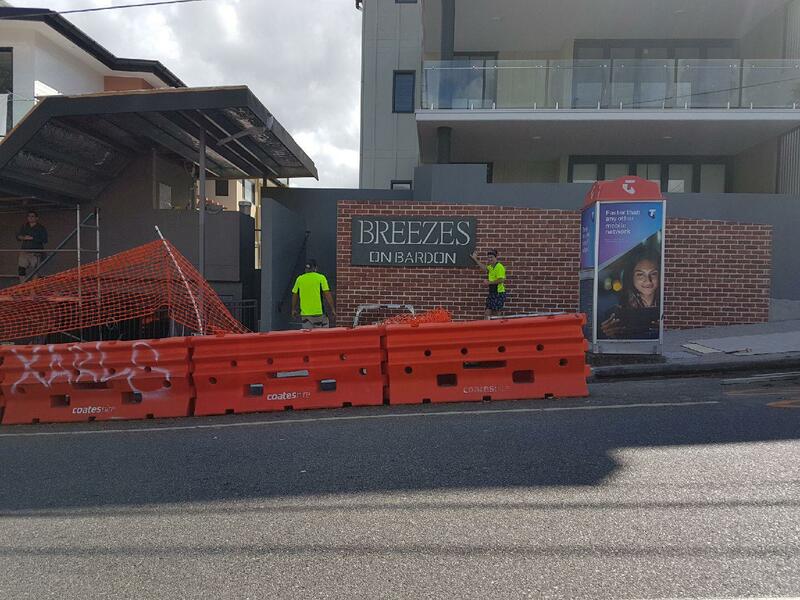 Construction was recently completed and the new Breezes on Bardon apartments are ready to move into now. The site before construction began at 23 Boundary Road. Photos taken 08/02/16. The sales suite is now closed as the new apartments have been built. 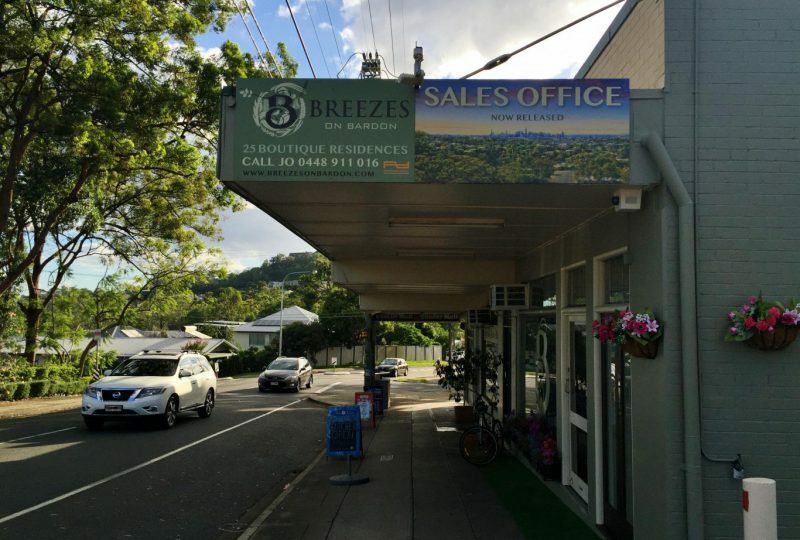 Photo of the Breezes on Bardon sales office next to the development site Feb 2018. Breezes on Bardon has three levels of just 25 two and three-bedroom apartments, each with a floor plan unique to that level. The development is divided by an open-air, landscaped corridor. This should ensure that many apartments will get through breezes and have views looking out toward the city, although as a result of the corridor between the buildings, some will naturally look into each other. 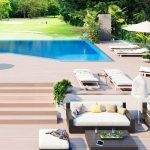 Residents will have use of a pool and barbecue area. 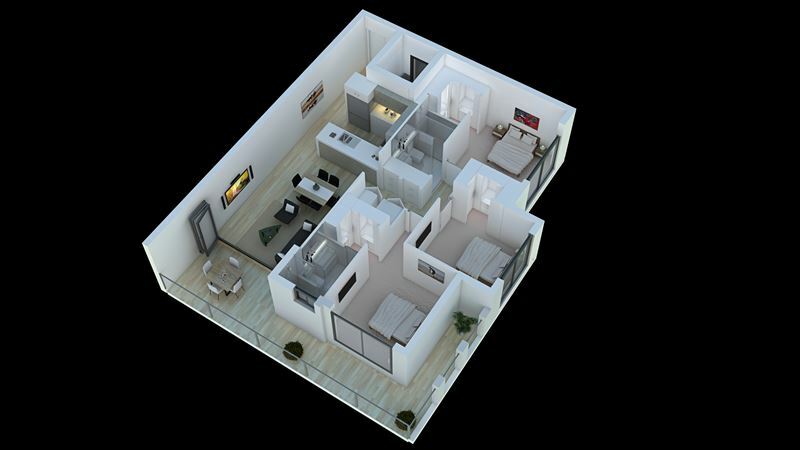 We like the Breezes on Bardon’s floorplans: some have dual balconies and will facilitate that ‘crossflow’ breeze that Queenslanders value over the warm summer months. Going back perhaps 20 to 30 years coming up with a floorplan that could accommodate this was very important, however with increased densities and perhaps better air-conditioning, most new developments simply can’t offer this. For an owner-occupier, this is a really big plus for the project. 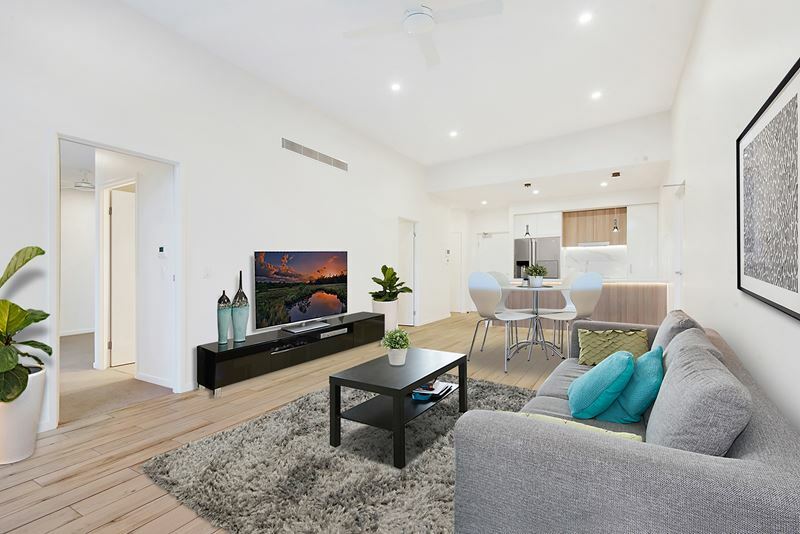 In general, the apartments will also be larger than the average two and three-bedroom apartment being brought to market in Brisbane in this price range. Car parking is a secure basement car park with a remote garage and two lifts, servicing each floor. The apartments high ceilings, particularly the top floor apartments which have a bit of an architecturally-styled roofline. 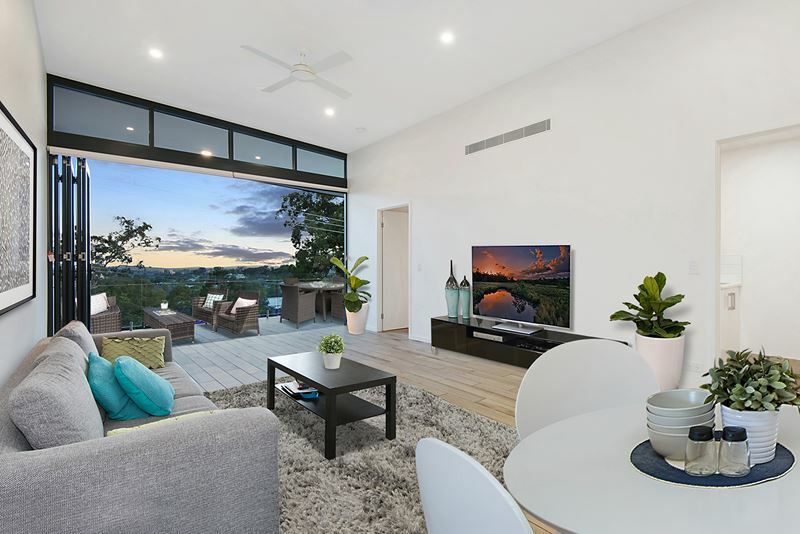 Bi-fold doors will open up to make living areas flow onto the generally quite generous balconies, some with views to the city or the bushland of Mt Cooth-tha. 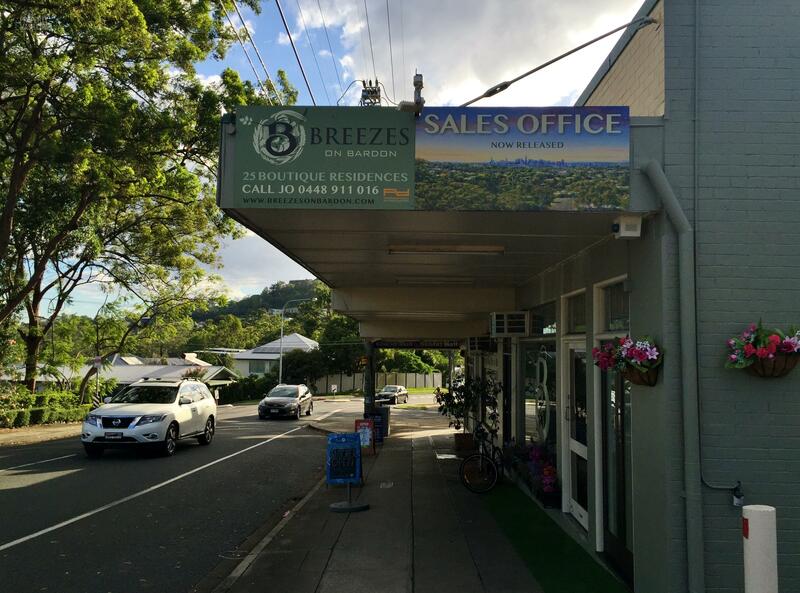 Breezes on Bardon is on the corner of Boundary Road and Stuartholme Road, in the suburb of Bardon, which is situated in the inner north-western suburbs of Brisbane. Resting atop one of the larger hills in the area, at a Y-intersection, the development will look straight down the clearing of Boundary Road, with great views of the city. 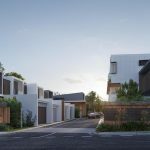 The project is just 2km from Bardon Central, a small shopping village. 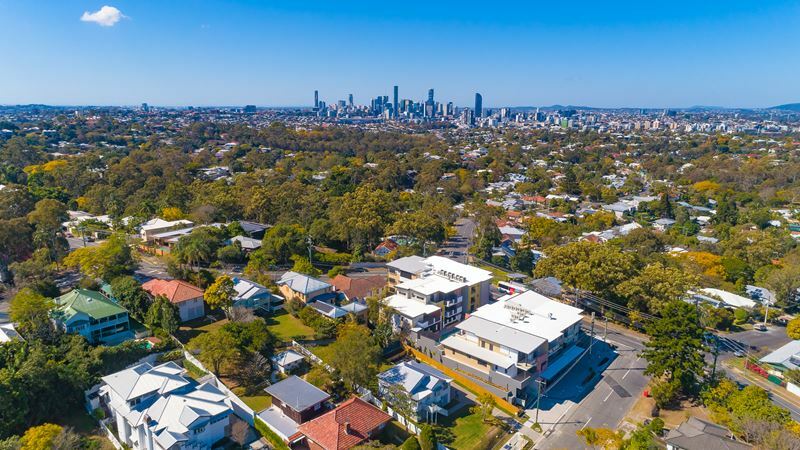 Bardon is considered a traditional residential suburb of Brisbane, dominated with Queenslander houses, many of which have been gentrified and sit on larger blocks. Overall it would be fair to say that Bardon is a well to do, leafy suburb where many Brisbaneites raise families. 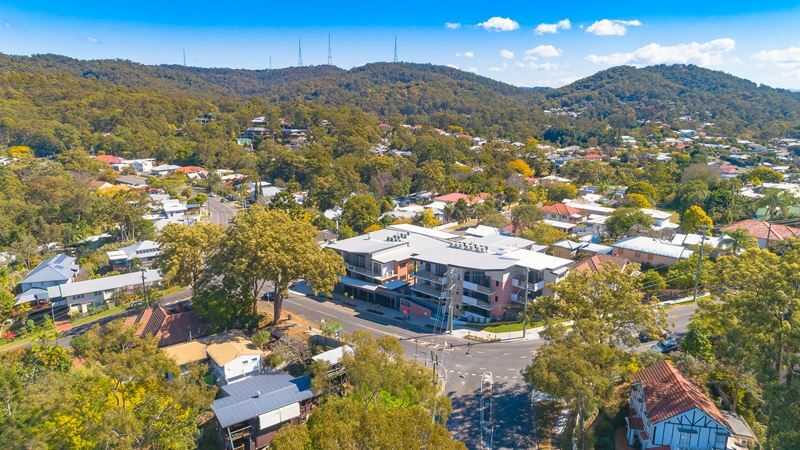 Macgregor Terrace is one of the main roads connecting Toowong to Ashgrove and Enoggera, so there tends to be a lot of traffic. If you buy one of the apartments facing onto Boundary Rd this will be something you will have to take into consideration. The closest major supermarket is Woolworths in Paddington, a bustling, neighbouring suburb of boutiques and cafes, renowned for its breakfast scene. 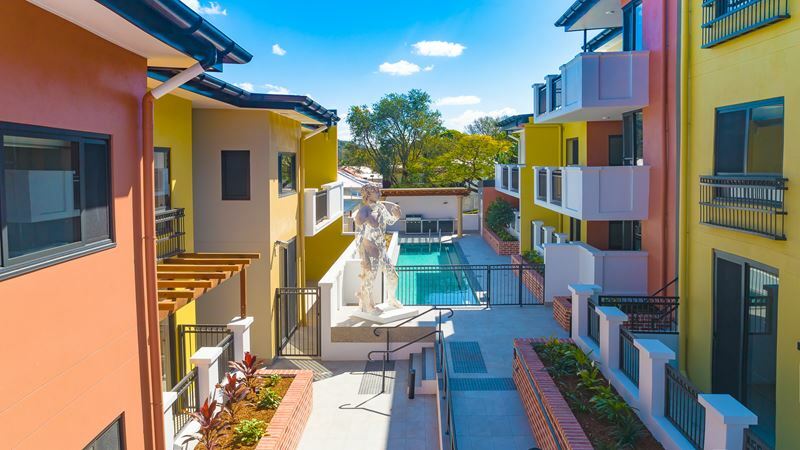 Paddington is about a six-minute drive from the Breezes apartments and until 1925, Bardon was known as Upper Paddington. 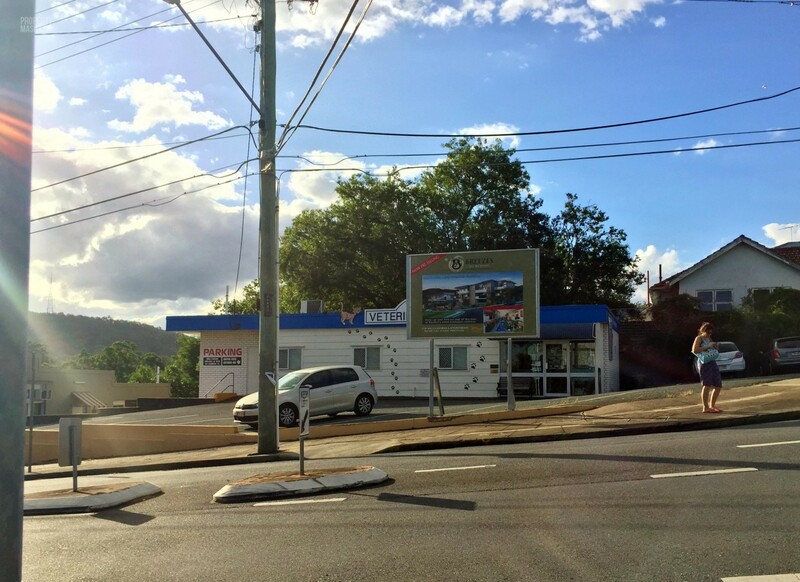 If you are looking for a Coles or ALDI store you can find them in Ashgrove, about a 10-minute drive away. Surrounded by bushland, you are spoilt for choice with outdoor recreation. About 2km away on Sir Samuel Griffith Drive, you can find the start of the Powerful Owl Trail, a walking track that leads you through the Mt Coot-tha Forest. Another kilometre down Sir Samuel Griffith Drive is J.C Slaughter Falls, a cascading waterfall on the Ithaca Creek. Here you will also find the base of the Mt Coot-tha Summit Track. Leading 1.9km up to the Mt Coot-tha lookout this is a lovely, moderate walk with a rewarding view and a cafe at the top. A sight to see at night time, the Mt Coot-tha lookout has panoramic views of the Brisbane region. Alternatively, you can drive there in seven minutes. Bowman Park is a two-minute drive from Breezes and is home to Bardon Latrobe, the local soccer club, as well as the Ithaca Creek Bikeway.� The population of Bardon was 9,256 at the 2011 Census, with the median age of residents 36, a year below the national average. It is a family-oriented community. Breezes residents are spoilt for choice if looking for primary schools close by. Bardon State School is just a kilometre away and has a hard-court tennis court for hire seven days a week. 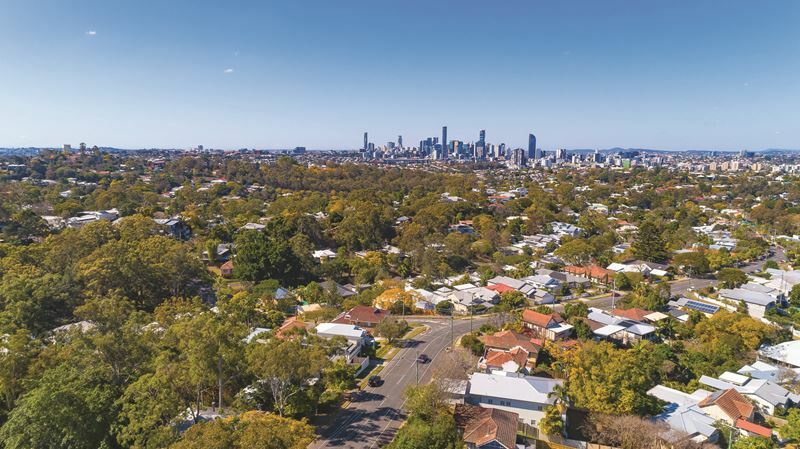 About 800 metres away you will find St Joseph’s Catholic Primary School and about 2km away is Ithaca Creek State School.� High schools in the area include The Gap State High School and Mount St Michael’s College, both reached in under 10 minutes (depending on traffic). You can walk 400 metres to a bus stop on Simpsons Road, serviced by bus 375, that takes 20 minutes to get to Adelaide Street in the city centre. From there, you can catch the 411 to the University of Queensland. To get to the Queensland University of Technology (QUT), a little further on Simpsons Road you can jump on bus 40. There is also a bus stop directly across from Breezes on Stuartholme Road. The 598 bus that services the stop runs between Chermside and Indooroopilly, giving easy access to the major shopping centres there. The closest major hospitals are The Wesley in Toowong, about 3.5km away and the Royal Brisbane and Women’s Hospital, about 8km away. 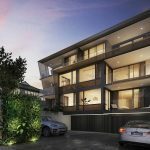 Designed for the owner-occupier, Breezes on Bardon will have the extra touches homeowners are looking for according to the developer. Timber-look tiling makes the living areas chic and homey while retaining the low maintenance of tiled floors. Merging the interior space with the exterior, the timber-look tiles extend onto the balcony. Bedrooms have wool-blend carpets. 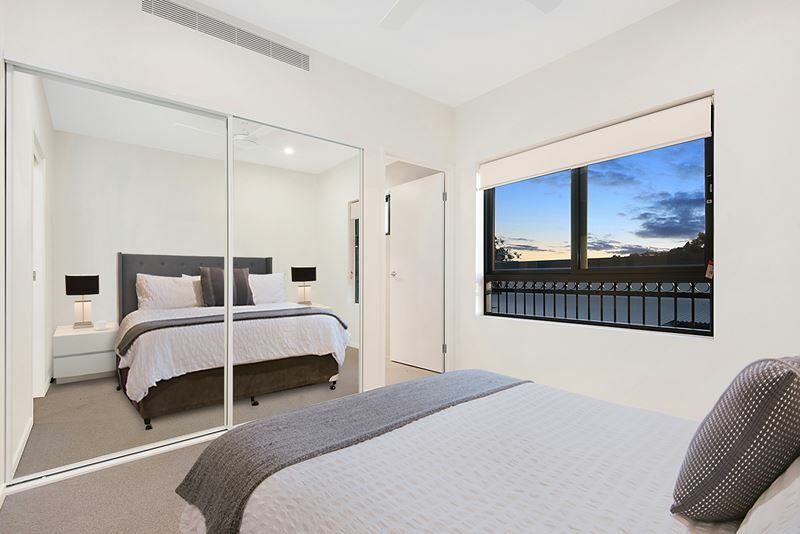 The kitchens have reconstituted stone benchtops, highly resistant to heat and scratch, with waterfall edges.� Each apartment will have air conditioning as well as ceiling fans in the living room and all bedrooms. This is great for Queensland apartments, as sometimes you just need one or the other (or both!) in the heat. 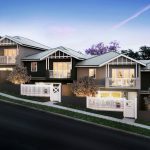 The developer is Delta United, an experienced Queensland-based company with a portfolio of recent small to medium residential developments around Brisbane. I wonder if there is retail included? This was the site of important shops for the area , and it it so inconvenient to have to drive everywhere. If retail is included , it might be useful to advertise it. Hi Elizabeth – thanks for visiting Propertymash.com and apologies for the delay in getting back to you on this one. The Approval provides for 5 retail shops for a total of 500 sqm’s, so the intention is definitely for a significant retail presence, but we will check with the Developer on exactly what their intentions are. 1. When the development will be completed? 2. What the 5 retail shops are? Hi Max – completion is expected for April this year.